Recently I met some student who passed B.Tech in Computer Science and when I asked few basic question about programming language. I shocked because many of them don’t know the full form of AJAX, PHP, JPS, ASP etc. So I decided to write post for the Student who studies B.Tech, M.Tech, MCA, BCA. I bring the full form of some programming language commonly teaches in College. If you know some more on this topic then please comment it out we love to update it here. What is QE ?It is something related to testing like language.i m not clear about it.if anyone know plz do reply. BASIC- Beginner’s All-Purpose Symbolic Instruction Code. Everyone might have forgotten about DBase, FoxPro, Foxbase…..
Its a good job guys.I know full forms of some of the languages.I want to share with you guys. I want to know the all full forms of the courses or countries name and etc. you are send a full IT and Programming Full Forms. IM and call your friends through your computer. Hi Frnds Can u plz tell me wht is IM & its FullFom in the above line. php-Hypertext processor & personal homepage. Thanks for providing information.I have been looking information on the ajax.This discussion has solve my concern to a great extent..I am very grateful. thanks alot for ur support. finally i know the full form of asp. It is really very use full n important for the people from IT fields. Thanks Razzil. good info! 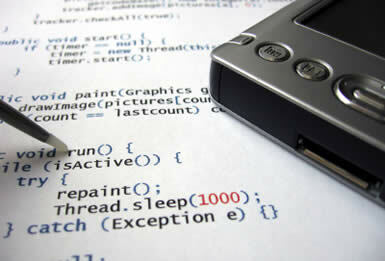 m not too sure about programming languages.. does they relate anyway with html codes used in web designing??? hi,,, yes ofcourse,, HTML CODES are used only for client side coding,, and these technologies are used for server side scripting..
SAP stands for System, Analysis and Programming. nice work done by u…..can u tell abt SAP….